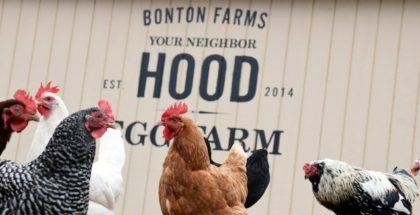 In what some might describe as a midlife crisis and others an epiphany, Daron Babcock, the executive Director of urban farming organization Bonton Farms, quit his all-consuming job in the corporate world and moved to Bonton, an impoverished inner city community in Dallas, Texas. He had already been volunteering there once a week, meeting with a group of men who had been in prison and were struggling to get their lives back on track. But two hours on a Saturday was not enough, so he decided to work full-time with the men. After moving to Bonton, he noticed that many people were sick and dying at a rapid rate. He also learned that Bonton was a food desert, with the nearest grocery store a three hour return trip on public transportation. Daron recognized a correlation between the lack of access to healthy food and the high rate of cancer, stroke, heart disease, and diabetes – Bonton had a 300 percent higher death rate from diabetes than the county rate. 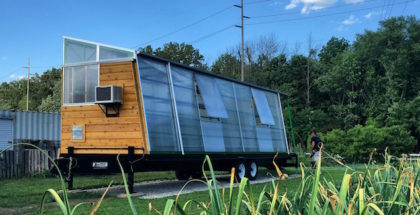 Dustin Lang didn’t set out to become an urban farmer. In fact, after high school he went on to study and practice corporate law. That is, until he was drawn back to the urban farm that he now runs together with his father Glen and father-in-law Jim Loy. The aptly named LL Urban Farms in Raleigh, North Carolina, established by the Lang and Loy families in 2012, is a true family affair. The families first connected when their two eldest children, Dustin and Taylor Loy (now husband and wife), met in high school. Photo courtesy of Whisper Farms. 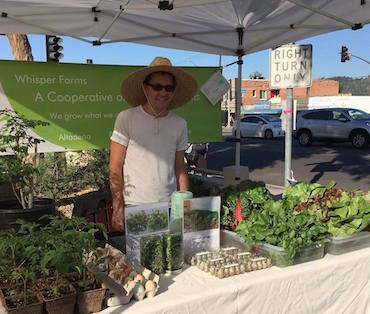 Scott Henley, the urban farmer behind the backyard growers cooperative Whisper Farms in Pasadena, CA started the endeavor with the aim of finding out whether it would be possible to farm a small backyard plot that would generate enough revenue to offset the opportunity cost of not working a traditional job. 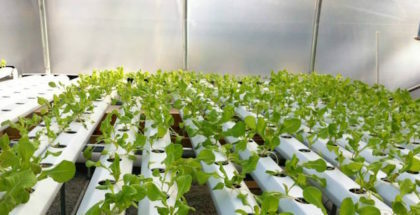 Nolan Schmidt, of Tower Urban Family Farm, left life as a big city chef to return home to Fresno to start an urban farm. Photo courtesy of Tower Urban Family Farm. 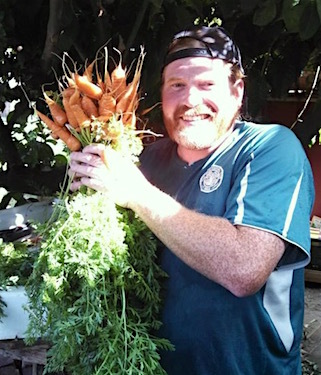 Nolan Schmidt of Tower Urban Family Farm (TUFF) in Fresno, recalls a particularly eye-opening incident at one of his urban garden sites, when a group of children from a local school stopped by to sample some of their produce. “One of the kids tried a kiwi and you just saw his eyes light up like he had just discovered something he never knew was possible.” Nolan learned that none of these children had ever seen a kiwi. The irony was not lost on him. Not far from where these children lived, kiwis are farmed commercially on a large scale. “So maybe two miles from their home is a kiwi farm, but yet they’ve never seen a kiwi.” And just like much of the produce grown in this fertile area, it ends up being shipped elsewhere, served up in big city restaurants and markets around the world, while neighborhoods of Fresno are plagued with food deserts.